Central Illinois Running News | Fat At The Finish! 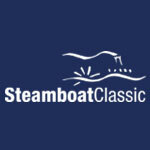 The 2019 Steamboat Classic committee is teaming up with RC Outfitters to bring back the fun-run training program, SteamboatStart, for its second year starting on April 10. This program is designed to help beginning runners and more experienced runners prepare for the upcoming Steamboat Classic in a fun environment. Come to Fairview Park on July 10, 2018 to register for the 14th Penguin in the Park 5k and receive a discount code when you wear a Penguin race shirt. LRC’s signature women-only running training group starts June 11, 2018! 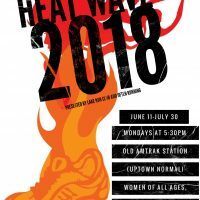 Sign up at Often Running on Saturday, June 9 from 12-2pm or contact lrcheatwave@gmail.com for registration info! 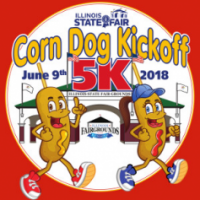 The Illinois Fairgrounds Foundation will be hosting a 5K run and 3K walk in conjunction with the Illinois State Fair Corn Dog Kickoff. The races will begin at 10:00 a.m. from the Shed. The route, which is contained on the state fairgrounds, will take participants on the world’s fastest dirt track, through Conservation World, across Happy Hollow, and more before ending back at The Shed. Decatur’s Shoreline Squad training program kicks off its’ summer program June 14, 2018, at Nelson Park in Decatur, Illinois. Shoreline Squad offers 13 weeks of instruction conducted by squad leaders in walking, Learn to Run, 5k and 15k groups leading up to race day. Training begins June 21 and squads will meet every Thursday at 6pm in Nelson Park until September 16th.